Romanians protest in Bucharest against corruption, February, 2017. “The European Parliament has overwhelmingly adopted the Romania rule of law resolution today with 473 votes in favour, 151 against and 40 abstentions. This sends out a clear signal to the Romanian authorities that they must take immediate action to root out corruption in line with the Venice Commission proposals,” they added. 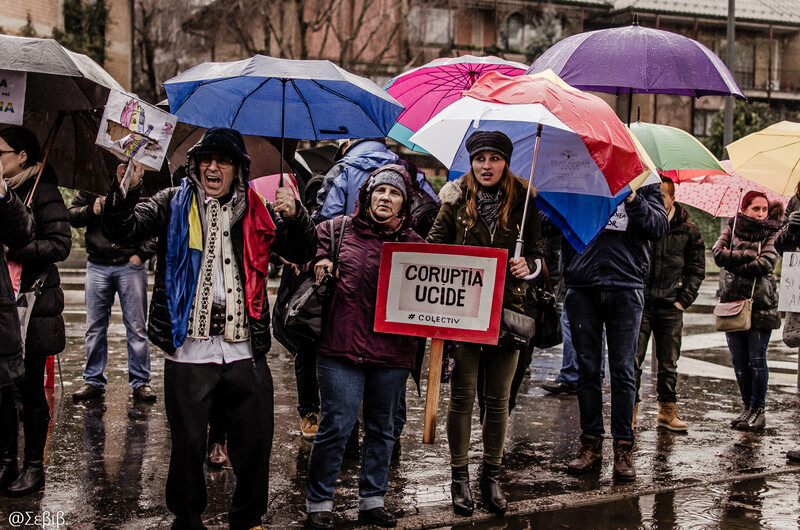 “The massive protests across the country during the summer show that Romanians are fed-up with widespread corruption robbing the country of its vibrancy and dynamism. Currently, up to a quarter of the Romanian population live and work abroad due to a lack of opportunity at home. “Romania must show it is committed to taking on a culture where bribery and the casual abuse of power constitute business-as-usual. People in positions of authority cannot be allowed to act with impunity and must face the consequences of their actions. The EU has been too slow in taking firm action to defend its values. If Europe is to flourish, it must be far more systematic and proactive in tackling corruption wherever it occurs,” Bütikofer and Frassoni concluded.